Ageing is a natural process that can't be stopped but you can try slowing down its effects from showing by drinking adequate water and using sunscreen every time you step out, suggest experts. [post_ads]* Chronic dehydration is the number one cause of skin ageing. Drinking water helps to restore the elasticity of the skin and moisturises on a cellular level, which helps to plump up the skin and add a more youthful glow. * Cortisol, the stress hormone in your body causes mental and physical fatigue, leading to untimely ageing of skin. To reduce daily stress resort to exercising, meditation, calming massages and aromatherapy. These will instantly charge up your mind body and spirit. * Start your everyday skincare regimen with a gentle cleanser suiting your skin type. Look out for ingredients such as calendula or cucumber, which are mild in its approach and have soothing and anti-inflammatory properties. For the next step, apply an effective alcohol-free toner according to your skin type. The toner helps in gently cleansing the facial skin while refreshing it without any harsh synthetic drying agents. A toner also helps tighten the pores and prepares the skin for serum and moisturiser. Following the toner is a hydrating serum. Look out for an active and effective serum with ingredients such as pure vitamin C, micro filtered yeast extract or glycerin. A serum is used to intensively hydrate facial skin making it look less dull and tired. It also helps in smoothing the appearance of fine lines and uneven textures. * Moisturise with a light but effective daily face cream. The use of a moisture helps in replenishing skin hydration by drawing and absorbing moisture from the air, leaving the skin smooth, soft and healthy looking. 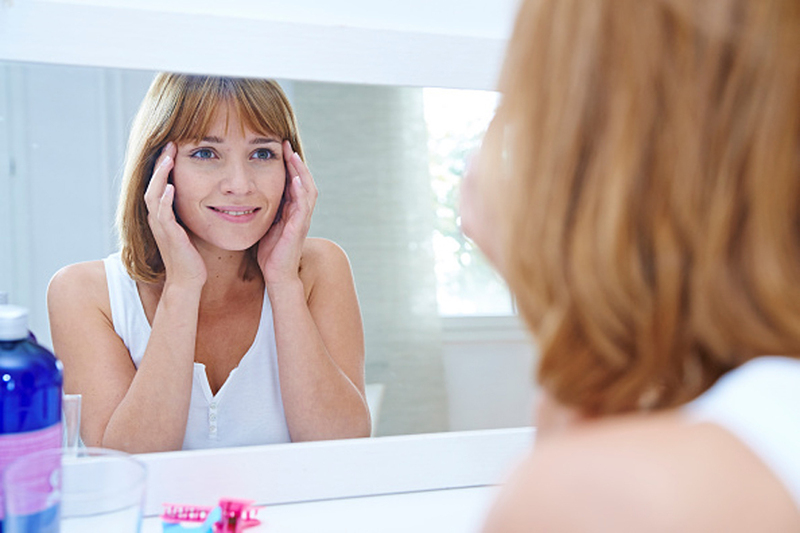 Look for a moisturising cream with anti-ageing benefits which has ingredients like hyaluronic acid, jasmonic acid, copper PCA, and calcium PCA. * Collagen helps to strengthen our skin, hair and nails. This valuable protein in the body can be restored with inducing more protein in the diet. Adequate protein intake reduces sagging skin, prevents premature aging and support overall health. Introduce almonds, broccoli, oats, quinoa, walnuts and tofu and soya milk for repairing and constructing tissue and keep your collagen intact. * Toxins leech vital minerals and cause premature ageing. Antioxidants like vitamins A, C, E and beta-carotene are essential to restore the lost nutrients from the body. Green vegetables support healthy blood glucose levels, manage blood pressure and reverse oxidative stress. * Use natural oils as they directly seep in through your skin into your bloodstream and enhance your beauty inside and out. Oils like lavender, rosehip, geranium, pomegranate and sandalwood have potent moisturising properties that will make the skin look radiant, bright and wrinkle-free. From parabens to preservatives, toxic chemicals found in many beauty care products, not only increase our toxic load, but also age our skin at a faster rate. * Sunscreen is an imperative step in the skin care regimen as UV A and UV B rays are present throughout the year, which emitted by the sun. This can cause a serious damage to the skin and can also lead to pre-mature ageing, deep tissue damage and skin cancer. It is recommended to pick SPF 50 when the sun is at its peak during the daytime. Opt for some UV filters in the sunscreen and look for mexoryl SX, mexoryl XL and titanium dioxide. * It is hard to quit, but giving up your smoking habit is one of the best age-defying gifts you can give yourself. * Avoid processed foods as much as possible. Phosphates fuel the aging process, interfering with vitamin D activation and weakening your bones. Genetically engineered food has also been linked to accelerated aging, so if you do choose processed foods, be sure to opt for organic.